OTC: A Digital Stepping Stone or a Dead End Path? The digital finance industry is both young and dynamic, and as it grows, it is constantly innovating to address the issues it faces. One of the contemporary issues of discussion is over the counter (OTC) transactions. The delivery of mobile money over the counter raises a number of questions around the fact that it can limit product evolution; can decrease provider profitability; and can lead to unregistered transactions, which run the risk of money laundering and terrorism financing. In this paper, we explore these questions and, with the help of data from The Helix Institute, InterMedia and the GSMA, provide an analytical perspective on the pros and cons of the OTC model. This will allow us to propose some recommendations on how to manage OTC going forward. We begin by defining a common ground for the discussion by creating a simple typology of different types of OTC. Then we look into the different questions raised by the OTC model. 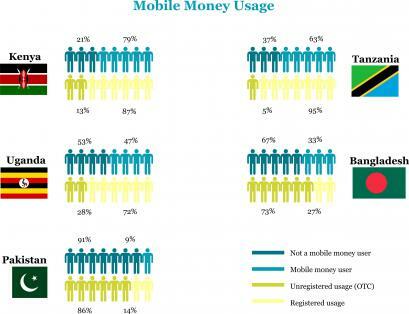 In the third section, we take a stand, arguing that certain types of OTC should be seen as a stepping stone to mobile money account adoption and usage. Lastly, we present our conclusions and key recommendations to move the industry forward, given the data presented and some of the new developments in the field.